CREX 020 series semiconductor heaters, suitable for use in potentially explosive areas. The 025 series LED lamps are powered via snap-on plugs, while025 Ecoline series LED lamps can be powered via a cable connected directly to quick splices in the lamp. Lamps from both series are available with either ON-OFF switches or motion sensors, and have three mounting options: clip, magnet, or M5 screws. Pressure compensation components include cable glands, which allow humidity to be expelled outwards, protect the insides from water and dust, while enabling the cable to go through. These cable glands are available in three diameters: 12.3 mm, 16.3 mm and 20.3 mm. New CREX 020 series semiconductor heaters have the T3 temperature class (max. device’s surface temperature: 200°C), which makes them suitable for use in potentially explosive areas (ATEX certified). They prevent condensation, temperature fluctuations and freezing. 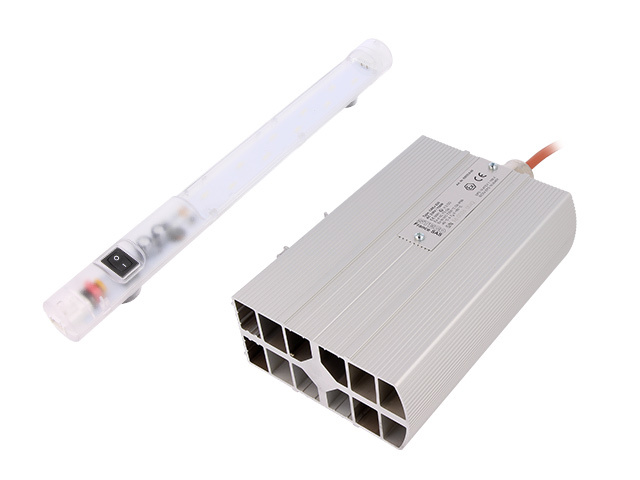 These heaters are available in five heating power variants, from 50 to 250W. They are perfect for measuring transducers and electric switch cabinets. Please check the control cabinet accessories andsemiconductor heaters from STEGO available at TME.